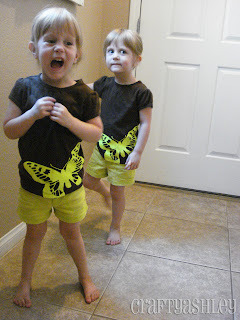 After having a group of "big girls" come play at our house yesterday, the twins have caught "big girl fever!" Anything associated with being more grown up, their eyes get wide and twinkly- they even walk differently. With a little more bounce in their step. So we indulged this whim and I "did" their hair with grown up clips. It was a big day, and the girls insisted I take pictures of the event. Yeah, I am nowhere near as good as my hair maven friend Rachel over at Redpunzel. 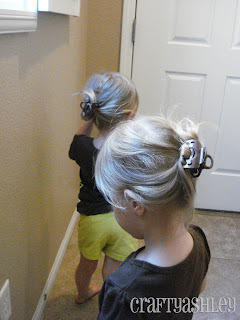 That girl puts my kids' hair concoctions to shame! And it was easy to snap back in after being fiddled with too much by little hands. 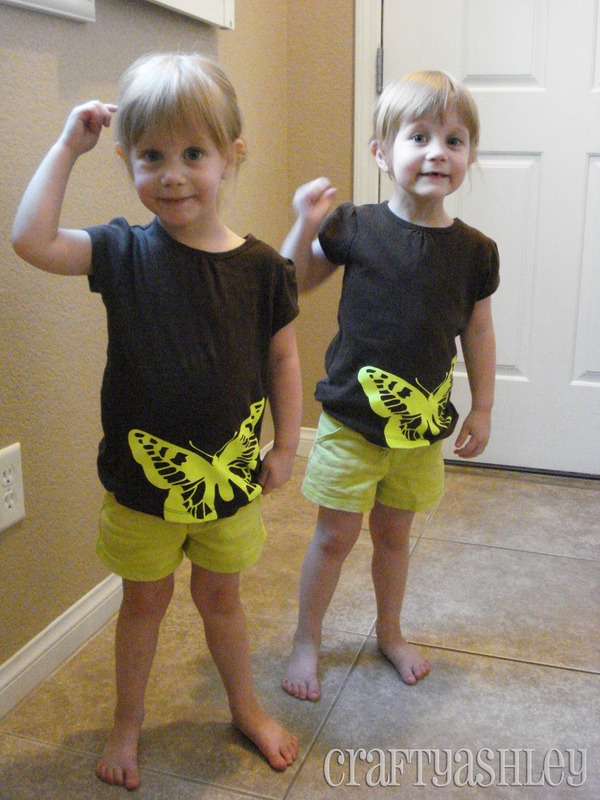 Those girls are just the cutest! I saw them marching confidently down the church hall to the bathroom- looks like life is getting easier in that department. Hopefully you can use those big girls to your advantage and influence the children for other useful things! haha! I so have a new blog to blog-stalk! I am always looking for new ideas.